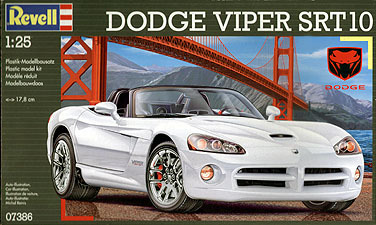 The third generation Dodge Viper differs from its predecessors primarily in its design. Instead of large side sills and sweeping body curves, the SRT10 is designed in terms of smooth surfaces, clean side lines and a gently rounder rear. Otherwise the new Viper has the familiar muscular appearance, the hefty wheels and above all the roaring engine. The powerful 8.3 litre ten-cylinder engine generates a noticeable growl that puts the kick into the driving experience. This two-seater, one of the most powerful sports cars in the world, offers 500 bhp, that is sufficient tractive force to press the occupants down into their seats as the speedo needle shoots upwards. The Viper roadster accelerates from a standing start to 100 kph in just 3.9 seconds and does not hit the limit until it reaches a speed of 306 kph.